Sharing perspectives on industry activities and what they mean for the future of collaboration. It was the best of times, it was the worst of times… Yes, the story of interactive displays is a tale of two births and two lifecycles. 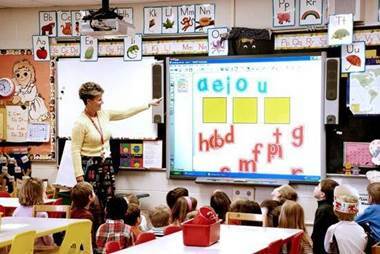 The first interactive “touch-capable” large displays were born around 1991 when David Martin and Nancy Knowlton released their first interactive product - called a “Smart Board.” While this first birth represented a breakthrough, it isn’t necessarily the most significant beginning. The second birth event can actually be tracked to 2007 – when Steve Jobs and Apple released the first iPhone. Yes, touch-enabled devices and interactions existed in many forms before that, but the iPhone / iPad marked the beginning of the second significant phase of this product class - because it was the first device that came to market without an instruction booklet. This represented the birth of users’ expectations that touch-screens would be intuitive. Those two events ultimately led to the point where we are today – on the precipice of a huge growth cycle (and related hype cycle) of enterprise and classroom interactive displays - now generally referred to as IWBs or EIDs (interactive white boards / electronic interactive displays.) Sadly though, this best of times will invariably lead to its own worst of times conclusion – that despite all the amazing features and functions of IWBs, they’re really only useful (and therefore really only well utilized) in a few specific use cases. Hardware prices into the tens of thousands of dollars per unit - either in up-front or ongoing costs – have not been and will not be successful considering this narrow utilization. Thankfully, there are a new breed of devices coming to the space that drastically reduce the required investment per unit. These devices will lead to an ROI model that – for the first time in the IWB space – will be sustainable. Throughout the history of this product class we have learned a lot about its technology, and about our behavior while interacting with it. In order to understand where everything is going one needs to look at where it’s been. The problem that IWBs address was and is real. It manifests itself when people gather in a space to exchange ideas. (The space in question can be anything from a classroom to a boardroom to a garage.) This exchange of ideas is frequently accompanied by visual images – such as a slide, a graphic, a chart, or a spreadsheet. These images frequently inspire real-time changes – such as drawings, annotations, highlights, corrections and the like. Then, when the meeting ends, all those changes and annotations are lost. How can we save and distribute the changes that were made in real time? Before IWBs there were few solutions. Dry-erase boards in office conference rooms would have “DO NOT ERASE” signs hung on them for days…or weeks. People would attempt to take notes copying the material. Nothing worked very well. A few early solutions came to market in the form of whiteboards that would capture the images with the press of a button when the meeting was over. But these worked so poorly that they soon disappeared. When the first IWBs hit the market they were comprised of a bunch of different technologies. The most typical included projectors that were combined with whiteboards and electronic pens – ones without real ink. These systems would know which color pen you picked-up because of which slot in the pen-tray it came out of. They might know where on the board you were pressing because of the sensitivity of the surface, or because of tiny optical sensors (cameras) around the board. You would be able to recognize these systems in most enterprise environments because of the oversized pen tray, and because of the impossible to erase ink marks they sported - caused by people mistakenly using real markers on them – but I’ll get back to that later. 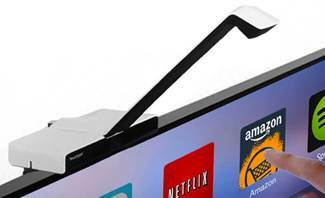 Later models came to market using see-through electronic overlays designed to cover the new flat displays of the day; and then finally as one-piece displays with touch-sensitive glass. Yes, many systems in this product class needed a lot of support. Boards would often need recalibration, and the software had issues and bugs. But for the first time ever, ideas created in one room could now truly be collaboratively shared to and from anywhere. It was nothing short of a revolution. The educational community was one of the first to make excellent use of these IWBs. They started appearing in classrooms as a powerful and successful teaching tool. Watching an instructor use an IWB was like watching Picasso paint – it was art. Charts and graphs would fly around the screen, multiple color highlighting would appear in real-time, handwriting would turn into text…the graceful proficiency was beautiful. The educational market was a clear winner for IWBs, making-up the majority of demand. Conversely, IWB sales were not very successful in the enterprise market. When one takes a look at the human-factors involved, the reasons become obvious. Here’s the true story I love to tell about IWBs to explain this phenomenon. An enterprise vice president goes to his child’s school for parent- teacher night. He sits in the classroom watching the teacher give awesome presentations on her interactive display. His jaw figuratively hits the floor. The next morning he calls his IT / AV / Facilities team and instructs them to order one of “those amazing boards” for every conference room at their firm. He’ll accept no debate or discussion on the matter as he knows how amazing these boards are. The boards are ordered, installed, and for the most part never used (or they become the ones with the permanent marker stains I mentioned above.) A few years later and / or at other firms, this cycle repeats…and repeats…and always would. There are two specific reasons for this. The first one is that IWBs are generally very hard to use. (I was fully trained to use a Smart Board many years ago, yet after a couple of months away from one I have to re-learn it for an hour or so each time.) A classroom has an owner – the teacher. He or she uses the technology in the space every day – and becomes familiar and fluent with it – achieving that graceful proficiency I described above. In an enterprise however, rooms don’t have owners. People expect to walk into a general purpose conference room and begin meeting or presenting. They didn’t have the full day available to get trained on how to use the board, and they don’t have that hour available to re-familiarize themselves each time they use it after a while. That’s the main reason why these boards were and are underutilized in Enterprise environments – they’re too hard to use. The second reason for this is far simpler. In enterprise conference rooms, people sit. They find the best available chair, plug their device in, and keep sitting. They rarely get up to annotate on a board. Yes, there are a few specific use cases that don’t follow this pattern. Trainers / instructors, engineers, designers and a handful of others will make extensive use of IWBs. However, the rest of the users in an enterprise, generally won’t get up to use them. Therefore, when you take a product that is expensive and hard to use, and put it in an environment where people generally don’t get up from the table, you get what the IWB market has achieved in the enterprise space – very little traction. In order to understand what is happening in the IWB space today one only has to go back about ten years to see what happened with Immersive Telepresence. The parallels are astonishing. Immersive Telepresence generally describes videoconference systems that use a number of large displays in front of a table that are meant to simulate all parties being in the same room. At the beginning of the immersive hype cycle, the videoconferencing market had a number of solutions available that were generally perceived to be poor. The reasons for the perception included difficult and non-consistent user interfaces, poor connections between systems, and poor maintenance and management of the endpoints – all problems that were solvable but were usually neglected. There were also niche providers providing immersive systems, but their expense and minimal distribution prevented their popularity. Then, one large manufacturer (Cisco) decided that the space was ripe for disruption. They built a system (CTS 3000 TelePresence) that was very reliable (simply because it addressed the solvable problems listed above) and put a lot of muscle behind the marketing and distribution of it. While these systems carried a list price of hundreds of thousands of dollars (not even including how much the room remediation would cost) Cisco’s management would often give the units to large customers for free, seeding the market and driving demand for additional endpoints. Rather than compete against these TelePresence systems and their obvious flaws (expense, technical limitations, practical limitations, limited use cases, etc.) the other manufacturers in the space adopted a “we have one too” stance. (All boats rise with the tide…) Shortly thereafter, immersive telepresence was the thing that everyone had to have. Instead of selling videoconferencing endpoints (bad connotation) for about $20k each, they got behind selling immersive systems (good connotation) for hundreds of thousands each. The sales numbers were staggering – everybody had to have these – along with the expensive management and exchange services needed to connect them. · Immersive telepresence wasn’t “better” than the videoconferencing systems that preceded it. It just utilized better connections, better maintenance, better management, and easier UIs. These could have been applicable to the inexpensive systems all along. · The immersive nature of the rooms were a terrific benefit in only some very narrow use-cases – for example, when only two locations had groups of less than six people in a meeting for extended periods of time. The rest of the time they were not a good choice of collaboration tool. Today you will still find immersive systems in use, but they are limited to those applications where they are actually a benefit. In addition, many of the new products can be classified as “ecosystem plays.” Because the cost of collaboration hardware is shrinking, the manufacturers realize there isn’t as much profit in selling products as there is in selling services. So the manufacturers of new systems on the market aren’t looking for sales profits as much as they are looking for ongoing revenue in the form of subscriptions. Google’s and Cisco’s products will be less expensive than Microsoft’s recent offering, but they will require a monthly subscription to their platform. · Engineers – When working on complex drawings, equations, schematics and the like an IWB can support manipulating objects in real-time – and save and easily distribute all work. · Educators – Whether in a classroom or an enterprise instructional environment, the IWB is ideal for conveying ideas, annotating and highlighting points and presenting information with a flair. · Designers – IWBs allow visualization of real-time object corrections and manipulation. Do you want to see what the shirt will look like in pink, then blue? Do you want to see it with long sleeves, short sleeves, or sleeveless? IWBs allow for real-time sharing and distribution of all of the changes. · Architects – How will the new building look with a front garden as opposed to a courtyard? What will a change in the exterior material do to the overall building’s look? What will a different color carpet make the new floor look like? How will more private offices fit on the floor plan? All of these and more can now be manipulated and exhibited in real time instead of waiting for new plans to be printed. · Team Leaders – If your organization utilizes stand-up meetings in specific rooms or open areas, and uses a person to lead such meetings graphically on a whiteboard, the IWB is an obvious extension of such meetings that can carry the information outside of the location where they are taking place. The big question of course is, are IWBs useful for general purpose meeting rooms? That’s a tricky one to answer. If they are complex to use and cost tens of thousands of dollars for each room (either in upfront or ongoing costs) then my personal opinion is no. Just like with Immersive Telepresence, the solution is not practical nor scalable. If however the UI is vastly simpler than it has been in the past (think about that iPhone / iPad again) and the costs are far lower than we’re generally seeing today, then yes, in my opinion the IWB becomes like the room’s speakerphone. It may not be used for every meeting, maybe not even for most meetings, but if it is ubiquitous and available when needed – and as easy to use as that phone – it will be a valuable addition to the room. It also needs to be said that we are no longer in a hardware centric world. In the past, meeting rooms were defined by the hardware that they sported, such as a videoconference room or a telepresence room – or a room equipped with an IWB. These hardware tools have helped drive productivity within enterprises – but only to a point. Today, instead of creating collaboration systems that users have to conform to when entering a space, best practices indicate that we have to develop environments that will conform to the users and the tools they are already carrying – like smartphones and tablets. Expecting a traditional IWB to meet today’s needs is no longer an optimal strategy. It’s more realistic to work with a software platform that meets the user expectations on their ubiquitous devices, then ensure that the IWB can perform as an extension of them. Many manufacturers / software providers want to get users onto their software ecosystem for that reason. End users however have to be aware of the ongoing costs of that ecosystem. Are you expected to pay for an enterprise license for all your employees? Are you expected to pay monthly fees for each device? Or is the software platform something inexpensive that can be limited to only the users that need it? Additionally, more than just the expense, does the software platform meet the “no instruction needed” iPhone / iPad test? 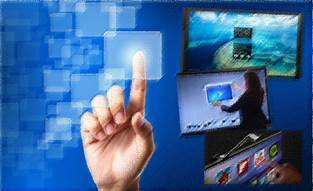 · Complex ecosystem products These are displays – generally from a manufacturer or service provider with businesses in many other areas – that enhance the use of that company’s platform via interactivity. Microsoft’s Surface Hub supports and extends the use of the Microsoft ecosystem. Google’s Jamboard enhances the use of G-Suite applications. A few more manufacturers are poised to bring similar ecosystem products to market. If you are an extensive user of such an ecosystem then these devices can be considered useful extensions of them in the appropriate applications listed above. If you don’t use these ecosystems, or use them but don’t have a significant amount of the appropriate user applications, then they are a generally unnecessary expense. · Stand-alone products – These are displays that have some IWB software built in from the display manufacturer, either as an add-on to enhance the value of the display, or as a specifically intended IWB product and application suite. InFocus, Smart, and a few others make products in this space. While easier to use than they have been historically, these products still have very complex UIs that will likely only be useful in those appropriate applications where users interact with them every day. · Enhanced Whiteboards – These are physical writing surfaces - often resembling and operating just like real whiteboards - that can be joined from remote sites, and enable the sharing, saving and distribution of what’s written on them. Smart’s Kapp product is an example of one of these. The limitation with these devices is that the collaboration is only one-way – the remote sites can only see the drawings, not participate. · Add-on Products – These are engines that can be added to your existing display or whiteboard to add interactive features. These have ranged over the years from cheaply made pucks that attach to a flipchart (which have exhibited questionable reliability) to brand new, feature rich products hitting the market. One example of this is the new TouchJet Wave – which turns any display up to 65” into an IWB by adding an Android based processor and pick-up to the top. The advantage of products like the Wave are that they generally work with your existing displays, requiring you to purchase only the IWB device and software – with a price tag of about $300 each. If your organization already owns displays in your conference rooms, you can add interactive features to over seventy of them for the price of one large Surface Hub. At a 70 to 1 ratio an organization is likely able to finally achieve the scalability necessary to justify putting them in all rooms - in that speakerphone model I mentioned above. No matter what product you choose, there are a number of factors that need to be considered about their ongoing operation. · Will you need to purchase and install a server? What are the one-time and ongoing costs of that? · Can the IWBs connect to each other without a server? · Will you need to connect the IWB to a cloud service? Is connecting to the public cloud something your organization allows, or are there compliance concerns around that? · Will you need to commit to purchase an ecosystem license to use the system? What is that cost and what kind of time commitment are you required to make? What does that price do to the ROI of the units? Do you need to purchase an enterprise software license for your entire organization…or one for each unit, or can software be purchased only for the users that need it? · How secure is the product (display mounted to the wall and / or interactive engine mounted to the display?) “People touching it” is the number one reason technology breaks. When technology is intended to have people touch it, it will come out of alignment and need calibration, get damaged, need replacing, etc. What is your plan for dealing with all of that? · What is your cleaning and maintenance plan? “People touching it” is also the number one reason technology gets dirty. How often do you plan on cleaning the display? Do you have a “manufacturer approved” method to remove the oils that our fingers naturally leave on surfaces (like fingerprints and smudges?) Do you have a “manufacturer approved” method to erase the ink and marker smudges that people will inevitably create on the surface “by accident?” The dirt and grease will pile-up, and cleaning it when someone complains isn’t a real plan. Will your custodial crew come up to speed on how to regularly handle the technology or will your level-one technicians become de-facto screen cleaners? The wrong time to consider these issues is after your purchase and when you’re forced to face them. Maintenance and ongoing costs need to be considered as part of the expected ROI of the system. This is another area where the relatively inexpensive, scalable add-on product has a significant advantage. It’s far easier to replace a $300 unit with a spare from your supply closet then it is to unmount your 60”-85” unit from the wall, waiting for a spare to be delivered, and then having it reinstalled on the wall. As mentioned earlier, I see the IWB path developing in a completely parallel manner to the Immersive Telepresence hype-cycle. There will be a significant amount of interest – almost classifiable as a “craze” - around these products for the next 18 to 24 months. If your favorite display or collaboration manufacturer / service provider isn’t offering a solution, then just wait a few weeks – it will be. The question end-user organizations have to ask is where they want to be when the dust settles. Ask firms that invested early and heavily in Immersive Telepresence products what their experience eventually turned-out to be, and most will tell you that these systems – installed at high cost and operated at high costs - have been or are being removed – also at high cost. When we reach the downward slope of the IWB’s hype-cycle curve what position do you want your organization to be in? My advice is as follows. · IWBs have been installed where they are most likely to be used. Again, these are with instructors, designers, engineers, architects – roles where people are frequently interacting with diagrams and demonstrations to accomplish their tasks. · Significant funding hasn’t been expended until the value of their use-cases has been proven out. · The software that lives in the IWB is useful for people that simply will not get up to use it. It will have to be effective for remote participants, seated participants, etc. It should be as easy to use on a smart device as it is on the IWB. · The hardware is small enough / simple enough to be easily moved from a location where it isn’t being utilized to one where it will be (or to the unused equipment recycle bin.) If you are spending thousands of dollars to buy a unit and thousands of dollars to install and maintain a unit, and will need to spend thousands of dollars to remove units, you’ve probably not made the wisest choice available. If however, you purchase a number of the low-cost systems and find that you have significant demand from users willing to learn more complex systems you can always reassess your product choice and spend more where warranted. Whatever you do, be sure to seek advice from partners other than the manufacturer. This hype-cycle, just like any other, has manufacturers selling based on their roadmaps – not based on features that are currently available. Installing a system that doesn’t work as needed today will be the quickest way to irreversibly prevent adoption. Try the systems before buying them. Speak to current users of the systems. Ensure that what is available today has the features and functions you need. Only after examining all of the units available – or consulting with an independent source that has examined them – will your organization be able to make an informed decision that isn’t influenced by the hype. The Interactive Multimedia & Collaborative Communications Alliance (IMCCA) is a not-for-profit user application and industry focused association with membership comprised of service and product providers, consultants, and users. Members benefit from the understanding and the use of various interactive and collaborative communications technologies in their professional and everyday lives.